We have spent time twice on wonderful Grand Manan Island in the Bay of Fundy. During both visits of several days duration we were extremely fortunate with weather. We know folk who spent time there and saw virtually nothing because of the fog. We camped in the Hole in the Wall campground which offers spectacular visits of the ocean from sites situated atop the cliffs. Peregrine falcons raced past at eye level and every day whales were visible as we sat in our camp chairs. One day we were out in our kayaks when porpoises approached, then swam beneath us. At night we could hear whales breathing as they passed by below as well as the sound of the rushing tide. To say that this has been a religious experience for us is not an exaggeration. During our first stay we went out on a whale and wildlife watching tour during which we saw a rarity, a mother North Atlantic Right whale and her calf. It was obvious that the guide was excited by this sighting and we were as well, even though Right whales are rather ponderous and not acrobatic like Humpback whales. They were an at-risk species and in years to come we paid attention to reports of their recovery and the efforts to allow them to flourish in busy shipping lanes. Last year was a horror story for Right Whales. Eighteen died in Canadian and American waters, some tangled in fishing gear and others struck by ships. This from a population of about 450. The macabre joke is that there are now more Right whale researchers than there are whales. 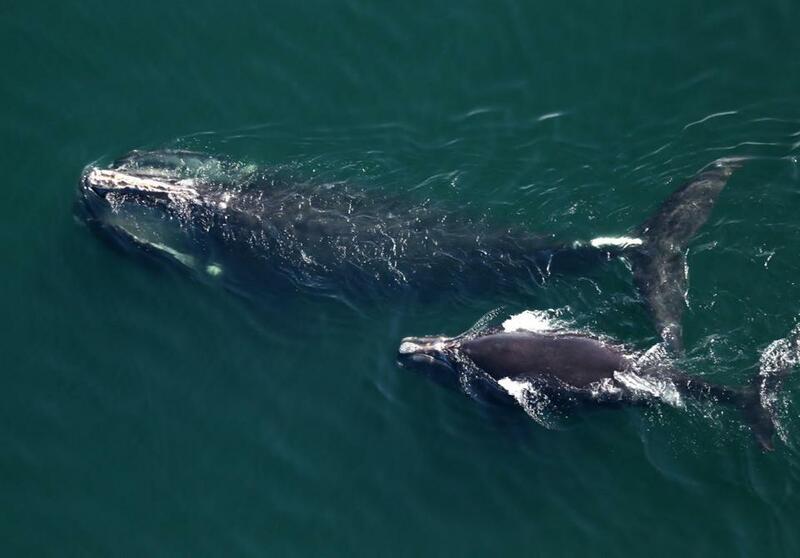 A couple of days ago there was a report on the number of Right whale calves spotted during the seven-week birthing season. There are about 100 adult females and they gave birth to a total of...zero calves -- none. This is a first for researchers and could be catastrophic for the species. I am dismayed that we may have seen a miracle of the natural world which may disappear in my lifetime, even though I'm getting fairly long in the tooth. We often imagine species under threat on the savannahs of Africa or the jungles of Asia. We're talking here about the waters of our Atlantic provinces losing a key species, and it saddens me that we have come to this place, largely through human activity. I am convinced that there is a biblical mandate to protect the complexity of Creation, one which we seem to be failing at every turn. We have been very adept at exploitation and habitat destruction, and this is a sin. I know we can do better than this, and I pray that it isn't too late for these whales. Your post strongly resonates with me. I feel sick when I hear about yet another species being put on the endangered list. I feel sicker when I hear about the poaching of animals in Africa. I won't even describe how I feel when I see people posing next to the animal they have just killed. I love your first paragraph - it sounds like exactly the place my wife and I would want to visit. It reminds me a little bit of our visit to Scotland last summer, during which we stayed a few days at Isle of Skye before moving on. We can't wait to go back - and this time we'll skip Glasgow and Edinburgh.